We love all of BZTAT’s work (Am I really talking for myself and a couple of plushies? What’s happened to me? 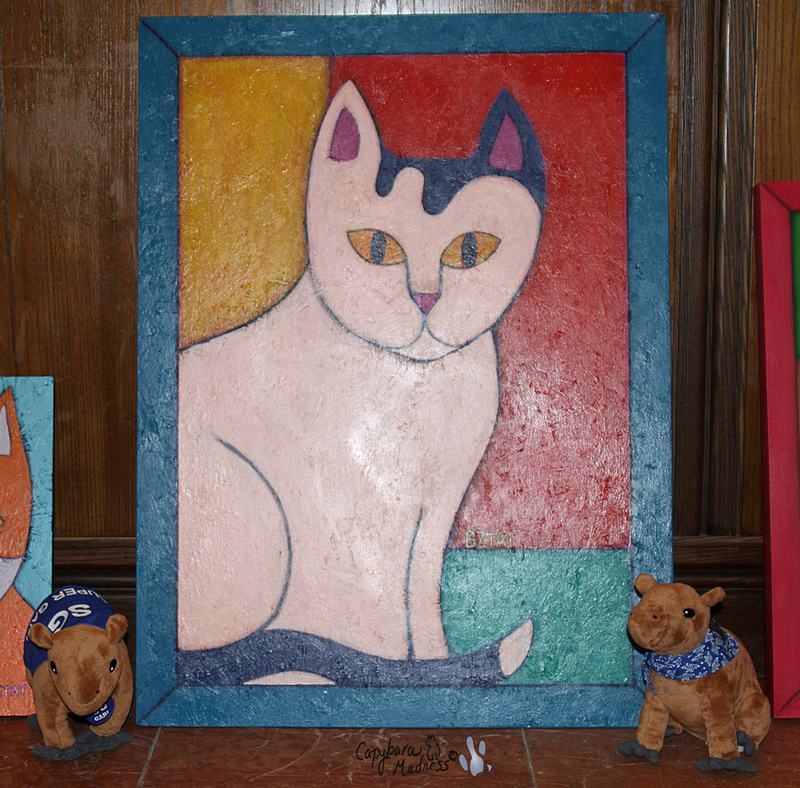 ), especially this painting of her cat Okey. Okey was a stray that BZ picked up out of a parking lot but she’s a lot more than that now. 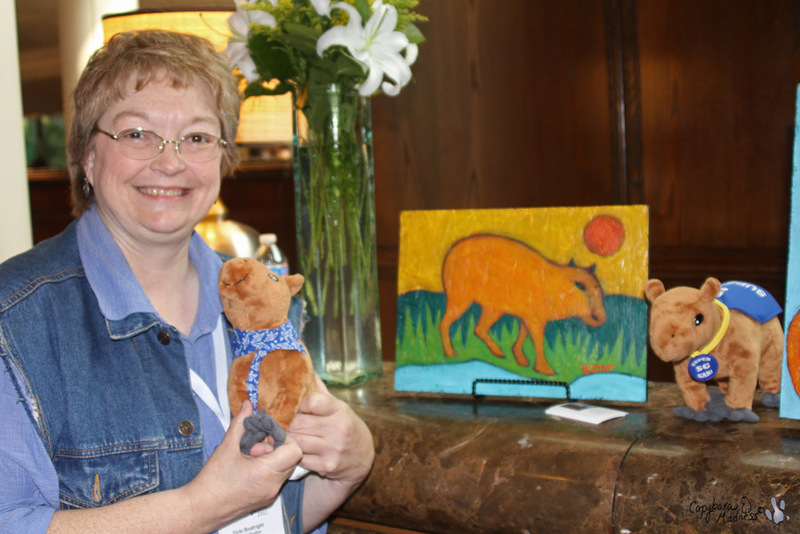 Not only is she beloved by BZ and her many friends, Okey has inspired a charity to bring awareness to the link between animal abuse and child or spousal abuse. 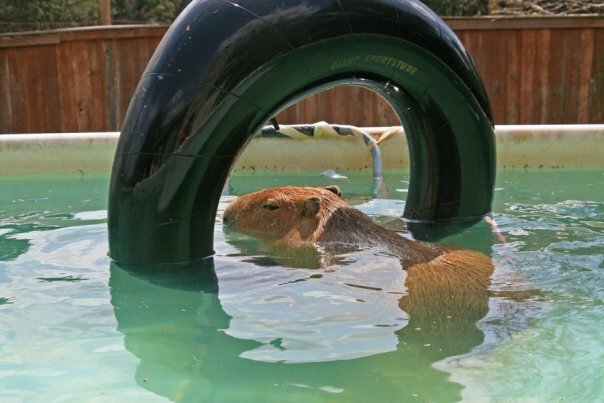 Here is the link to read about Okey’s Promise. Please consider a donation. 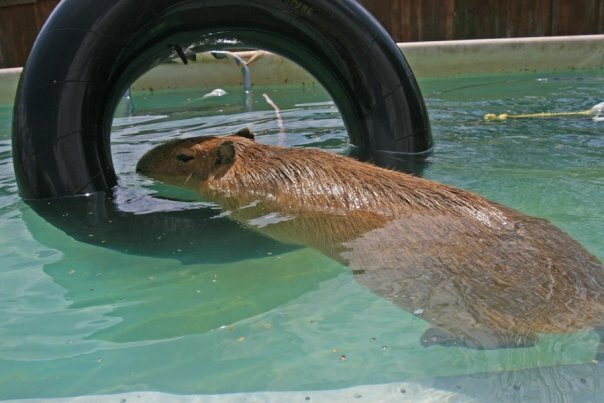 BZTAT has long been an online friend of first Caplin Rous and now Garibaldi Rous. Like many people she was stunned by his sudden death. 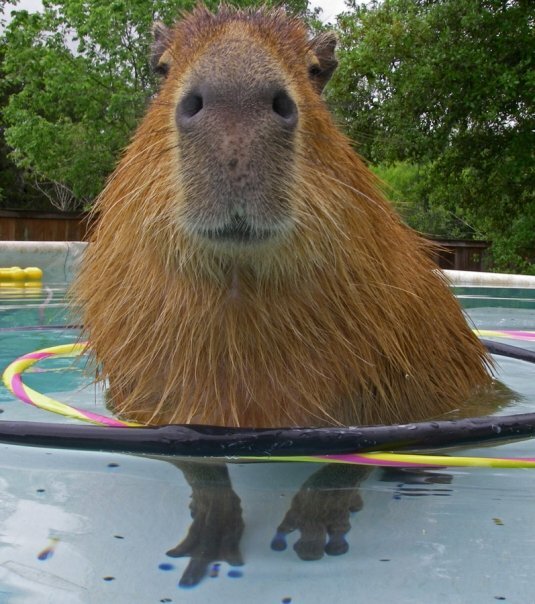 I want to take this opportunity to thank everyone who sent me a letter or an email or posted on my blog or Facebook or who bought a Capycoppy. 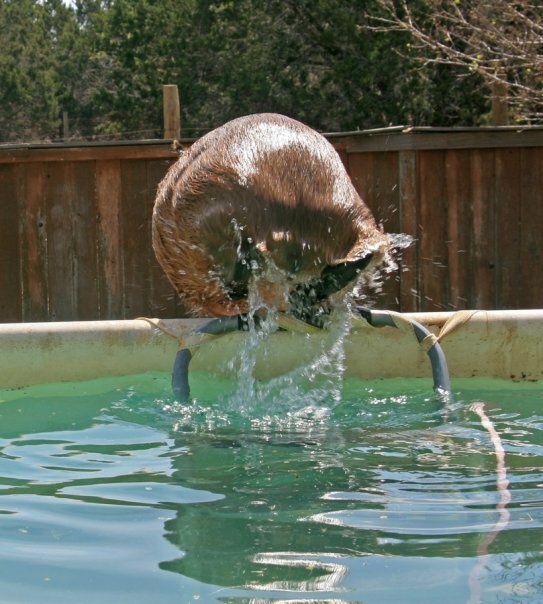 While I was at Blog Paws I heard several stories of the shock and loss that so many of us suffered at that time. I still can’t talk about it without crying. But I digress. 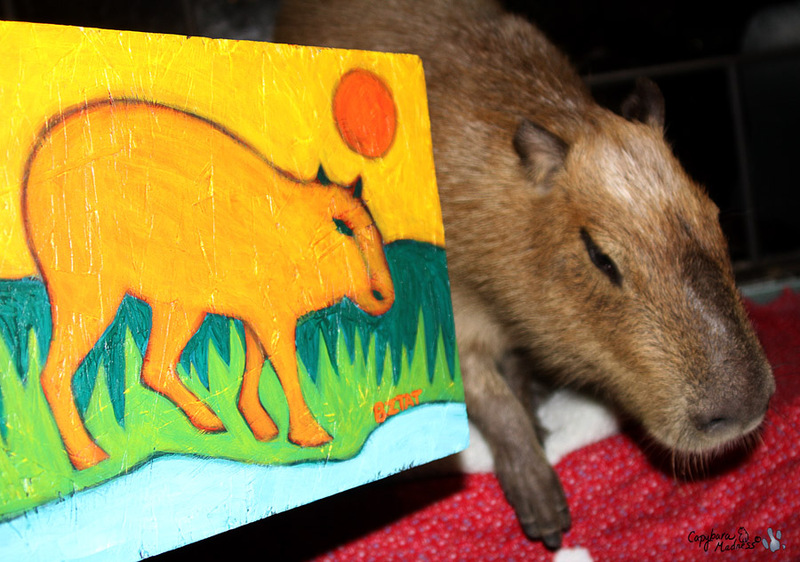 What I was trying to say is that BZTAT created a beautiful portrait of Caplin Rous walking through the grass by Capybara Creek with a warm sun overhead. 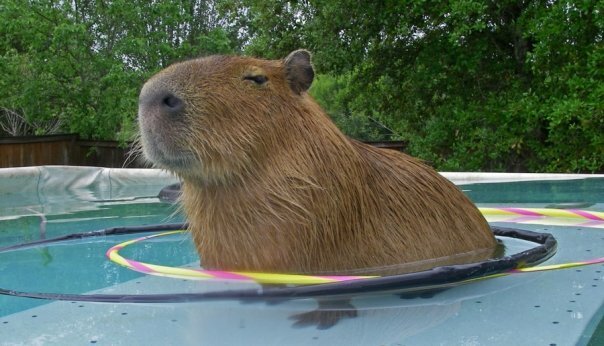 I guess this is what capybara heaven might look like if I only believed in such a thing. I had always meant to have her do a portrait of him for me but she volunteered to do this one on her own and she gave it to me free of charge. I’ve always said that pet people are the best people. Thank you all for helping me through a very difficult time. And thank you to my friend BZTAT for her wonderful gift. Who says internet friends are not real friends? wow – i LOVE that! so pretty, and such a thoughtful gift. 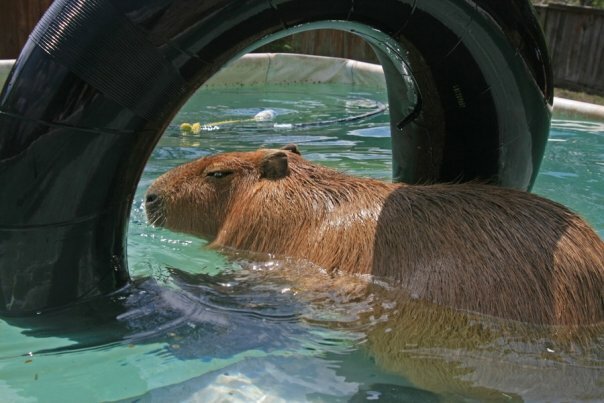 This is the BEST BLOG I have ever read. Thank you so much for writing it Melanie, difficult as it was. 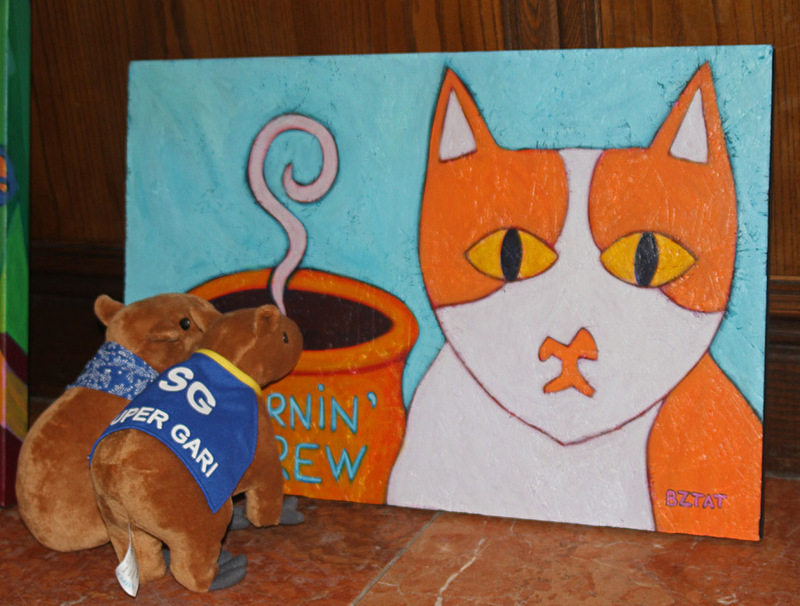 Caplin is VERY PROUD…..
Great pictures of Capycoppy and Super Gari with Bztat’s artwork. I love the painting of Caplin! What an honor to receive BZTAT artwork made just for you! 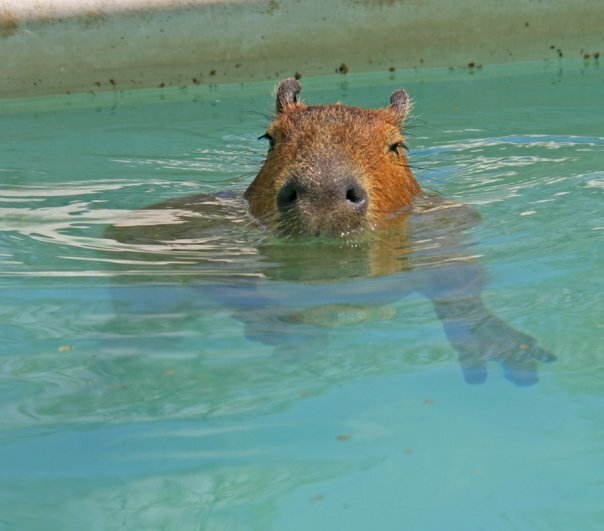 I never even heard of a Capybara before and now I can’t wait to meet one. 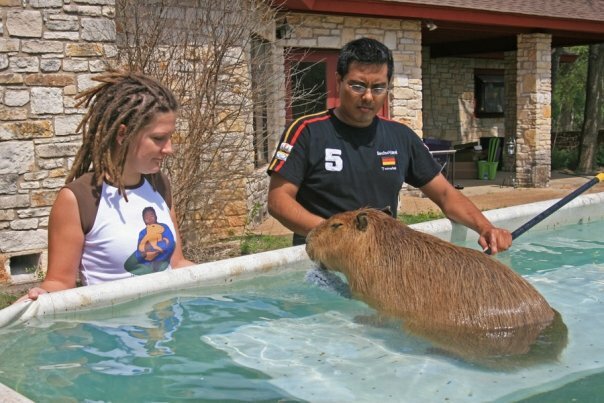 I hope you will come to BlogPaws 2012 and bring Garibaldi Rous, although something tells me I’ll be spending a lot of time after that trying to convince my husband why WE should get a Capybara!